Couples considering medically assisted reproduction (MAR) because they have difficulty conceiving naturally have feared the possibility of preterm birth (less than 37 weeks of pregnancy) and low birth weight (less than 2.5 kilograms). Doctors often warn prospective parents about these risks. It's a hard decision for couples with an unmet desire for children. Low birth weight children have more respiratory, cognitive and neurological problems than those born with normal weight. Preterm babies have elevated risks of heart defects, lung disorders, brain damage, and delayed development. However, the risks of preterm birth and low birth weight actually don't increase with MAR, according to a new study that has just been published in the medical journal The Lancet. Scientists of the Max Planck Institute for Demographic Research (MPIDR) and researchers from the London School of Economics and Helsinki University analyzed a large number of Finnish siblings and did not find elevated risks. This is in contrast to a number of previous studies by other researchers who did find a rise in risks. "Couples with an unmet desire for children don't have to decide against MAR anymore, because they might allegedly increase the health risks for their child," says Mikko Myrskylä, author of the study and MPIDR director. However, the demographer points out that children conceived via MAR nevertheless have a higher risk for preterm birth and low birth weight than babies that have been conceived naturally. But these elevated risks have nothing to do with the medical intervention. Couples with conception difficulties always have this problem, regardless of their choice for or against fertility treatment. Why they have these increased risks is not yet fully understood by scientists. "The physiology of reduced fertility itself probably plays an important role," says Alice Goisis, another MPIDR author of the study. She stresses that although the already elevated risk is a burden for couples, the finding of The Lancet study would still make a big difference for them. 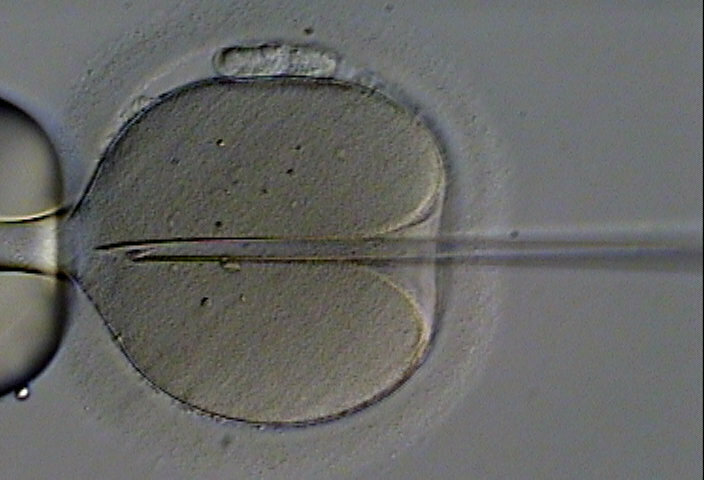 "When deciding for medically assisted reproduction nobody has to have the feeling anymore that she or he is deliberately putting her or his child at extra risk," says the MPIDR researcher. It is emotionally difficult if parents have to deal with elevated health risks for their baby that they cannot change, or if they increase risks knowingly, Goisis says. The latter is not the case when choosing MAR, as The Lancet study shows. Considering fertility treatment is now free from feelings of guilt and bad conscience. This is a relief for many, says Alice Goisis. To date, more than 5 million children have been born thanks to medically assisted reproduction globally. In the past, several studies tried to determine the true risk of medically assisted reproduction. However, their results differed strongly and were highly uncertain because they had often been calculated with biased methods and were based on only a small number of births. Some studies did claim strongly increased birth risks through MAR. Myrskylä and his colleagues analyzed a larger number of births than any previous study. Out of over 65,000 children born in Finland between 1995 and 2000, they chose 1,245 siblings of whom at least one was conceived naturally and one using medical treatment. Since parents hardly change from one birth to another, comparing siblings allowed the scientists to distinguish health risks between medically assisted reproduction and natural conception because the method of conception was the only relevant difference between births. With this comparison, the additional risks for preterm birth and low birth weight through MAR vanished. The siblings method applied in The Lancet paper can reliably confirm or rule out single health risks. Globally, data on a sufficiently large number of siblings is not available. However, Finland's national registries are a rare exception. They provide not only data on the date of the birth and information about the parents and siblings, but also the birth weight and duration of pregnancy. In most countries, such linked datasets are not available, and The Lancet study would not have been possible anywhere else.